Cockfighter’s Ghost is delighted to announce the promotion of Xanthe Hatcher as Winemaker for the label. Having worked directly under Agnew Wines Chief Winemaker, Jeff Byrne, for the last few years, Xanthe has been charged with putting her own stamp on the Cockfighter’s Ghost range, with a new focus on showcasing single vineyards from McLaren Vale and Adelaide Hills. In fact, she has already made a few of the wines included in the labels soon to be released new ‘Single Vineyard’ range. “Xanthe has proven herself a hugely talented winemaker and leader. It was a natural and obvious decision to give her direction over the style of Cockfighter’s Ghost and it aligns perfectly with the evolution of the label and the introduction of our new Single Vineyard range.” Said General Manager, James Agnew. Part of the evolution of the Cockfighter’s Ghost label is its regional shift to being entirely South Australian. This milestone is being marked with the release of the new ‘Single Vineyard’ range of wines, centred around the Agnew Family’s 20Ha Blewitt Springs vineyard in McLaren Vale, named The Chairman’s Vineyard in memory of Agnew Wines founder, Brian Agnew. 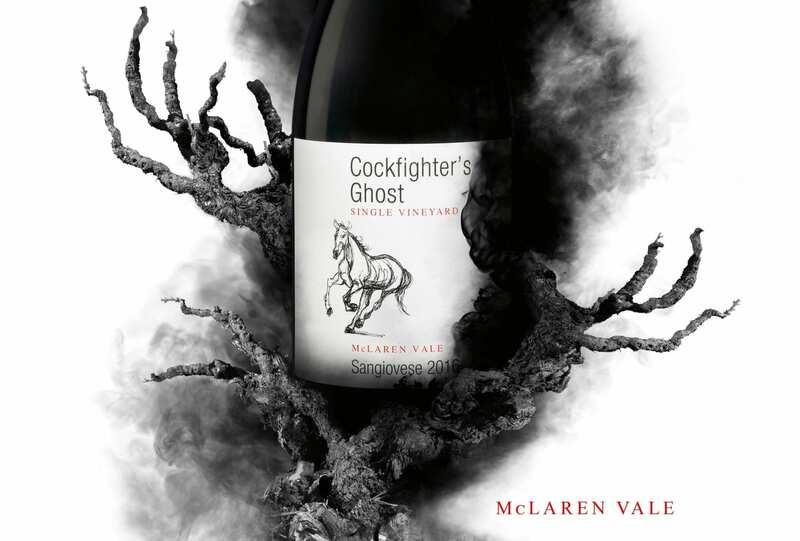 The July 2017 release of Cockfighter’s Ghost Single Vineyard range will consist of a series of red wines from The Chairman’s Vineyard and will include a Sangiovese, Cabernet Sauvignon and Shiraz, as well as ‘The Legend’ blend. The reds will be accompanied by Chardonnay, Pinot Gris and Sauvignon Blanc sourced from Single Vineyards in Adelaide Hills. This also represents the first Sangiovese made by the winery, with limited releases of Nebbiolo, Barbera and Sangiovese Rosé to follow.